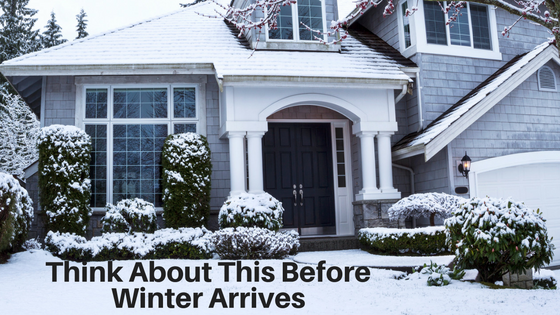 Something to think about – before the reality of Winter arrives for a nice long stay – the effects of “ice melt” or salt or rock salt on your home’s interior. That’s right, we said interior. Rock salt and “ice melt” can wreak havoc on your carpets and floors. If you are using any type of salt product to combat ice on your porch, driveway, or walkway this winter, you’re sure to have someone track it in your home. This can destroy carpet fibers and gravely increase wear on your carpet. Not to mention, it will make your carpets look dirty, too! The solutions are simple. Have people take off their shoes before tracking in your house! A designated area near the entrances to your home, preferably lined with an old towel, is a good idea. Secondly, have doormats at all of your entrances, right inside the door. Be sure to vacuum them…often! It’s a good idea to have a couple of inexpensive replacement mats on hand during the Winter. You want to be sure to also vacuum your area rugs and carpets far more often, whenever any type of salt has been used on icy pavement near your home. The salt particles get deep down into the carpet a lot more quickly than you think! Lastly, one word of caution – many ice melting products can be extremely harmful to pets. Please keep this in mind this Winter. The bottom line: Don’t let Winter ruin one of your largest investments – take the time to prepare for the season and protect your floors and carpets.